Itching for a fight? Start a thread on social media asking which is better: hardtail or full-suspension. I decided to cut through the rancor and get some cold, hard data. The term “better” is so vague as to be meaningless. I love both hardtails and full-suspension for different reasons. I knew which I liked more for given terrain, but I wanted to nail down the matter with full objectivity. With both a hardtail and a full-suspension Specialized S-Works Epic in my stable, I took most of September to ride them on both familiar and new terrain. 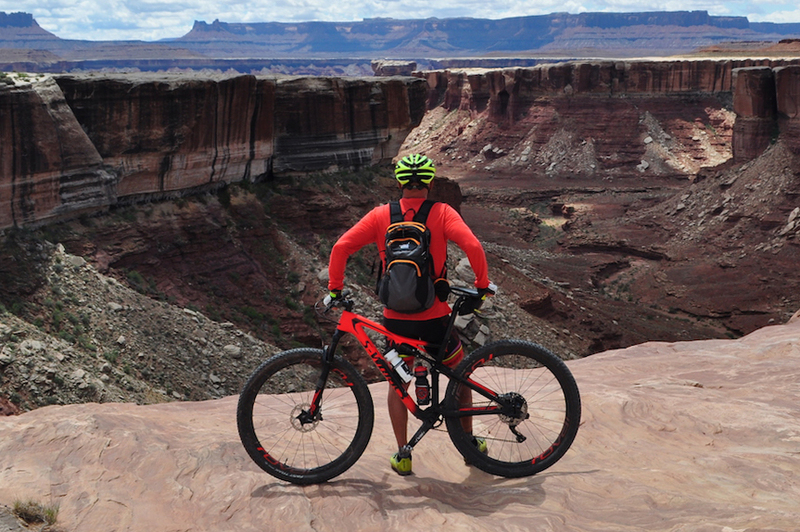 This included a multiday trip from Telluride to Moab with Western Spirit Cycling. I also interviewed suspension engineers, product line managers, and those competing on the world stage for their views. My approach was to define which suspension setup would be most efficient (fastest), which would help with skill development, and which I could squeeze the most fun out of. From the 1990s to today, Ned Overend has dominated cross-country mountain bike racing. 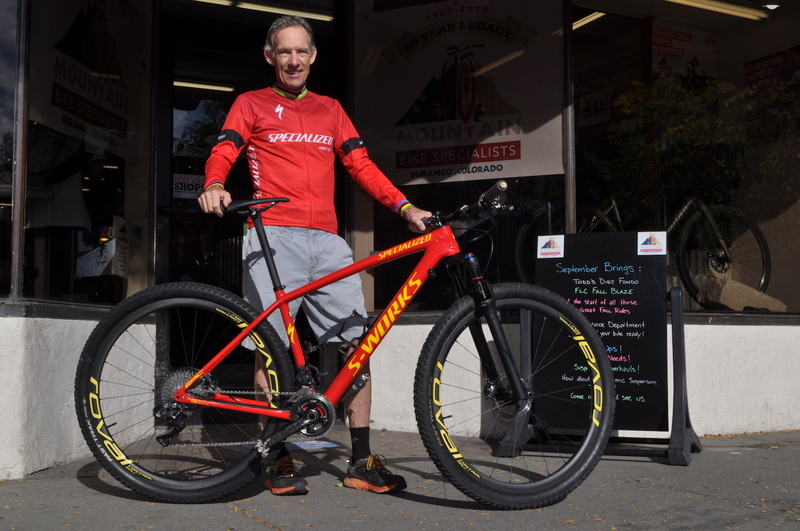 To celebrate his 1992 win of The Cactus Cup in Arizona, Specialized created the S-Works Epic hardtail in the same color as the bike Ned used to win that race. Living in Overend’s Durango, Colo., hometown and working for his shop, I felt the Epic an appropriate hardtail to ride for my test. 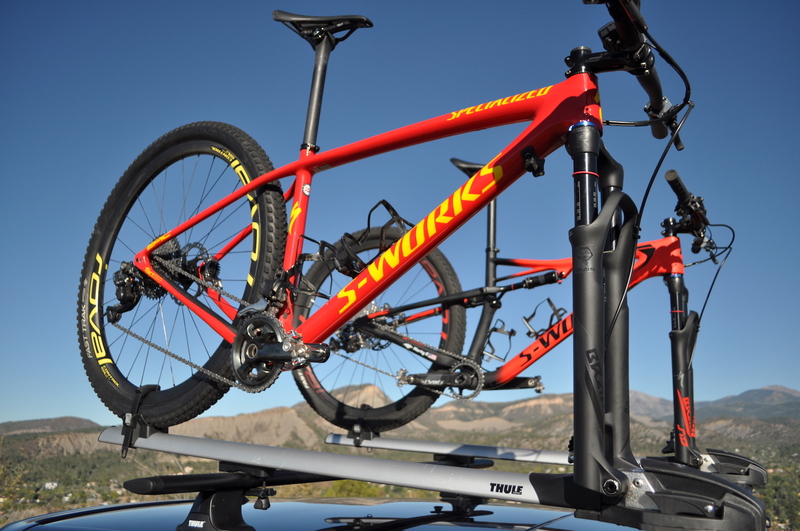 And the S-Works Epic’s full-suspension sibling is no slouch at winning either. Howard Grotts, also of Durango, used this ride to win South Africa’s 2018 Cape Epic and capture his second Leadville 100 victory. Both bikes share nameplate and construction. And the geometry is also almost identical, albeit with some key differences. The hardtail rocks a shorter chainstay by 8 mm, shorter wheelbase by 24 mm, and slightly steeper head tube angle by a few tenths of a degree. I set up the bikes with identical tires, cockpits, Xpedo’s excellent M-Force 8 titanium pedals, and Ceramic Speed bottom brackets. I also paid strict attention to tire pressure. In a past article, I dove into the physics of tire pressure and how to determine what is most efficient for you. For my weight, tires, and the terrain I ride most often, the most efficient window is 20-23 psi. Knowing that Colorado’s intense solar gain can influence tire pressure by as much as 50 percent, I packed a digital pressure gauge on long rides. And on each ride, I checked tire pressure to ensure that I was in my sweet spot. In plain English: We want to move forward, not vertically. If this sounds familiar to tire pressure, it should. According to both Benedict and Wolf Vorm Walde, director of tires and tubes for Specialized and former head of research and development for Continental Tires, tire pressure and suspension are closely related. Both serve to help the rider manage terrain and the amount of momentum that is carried forward. If you’re obsessing about suspension without considering tire pressure, you’re tackling only part of the equation. 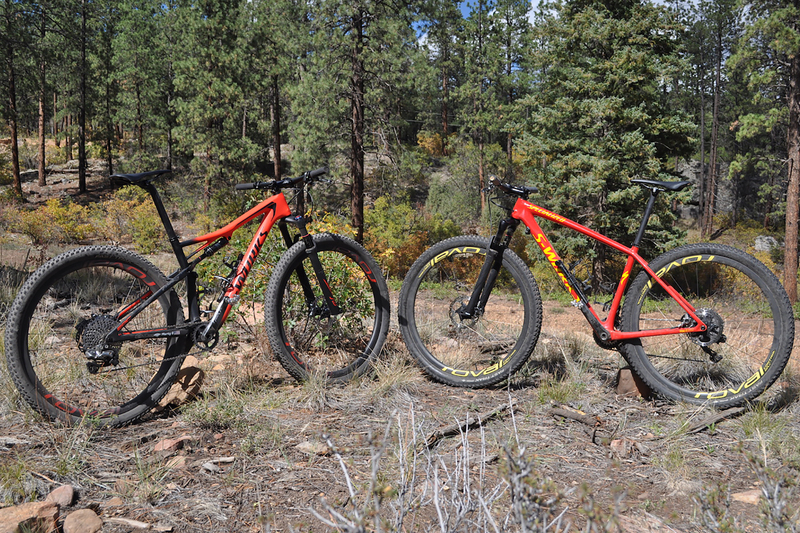 Hardtail vs. Full-Suspension: Which Is More Efficient? So, is a hardtail or a full-suspension bike a more efficient machine? In my experience with the hardtail and full-suspension Epics, the hardtail was suited for two-hour rides on smooth Durango singletrack — which is to say feldspar-based soil studded with rocks. However, my choice for four- to six-hour (and longer) rides on high-alpine epics was unquestionably the full-suspension. On climbs, the full-suspension didn’t exhibit the crispness of the hardtail, in part because it weighs about 3 pounds more. But my times were faster. Though it seemed counterintuitive, the objective stopwatch and power meter told a far different story than my subjective gut feel. 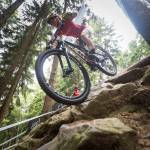 As for a race perspective, Overend prefers full-suspension almost every time. Still, Overend also said that if the course was smooth enough, the weight savings of hardtail could trump the prowess of a full-suspension. And this year’s Leadville 100 MTB winner, Howard Grotts, made a last-minute decision to switch from his hardtail to a full-suspension bike. He beat out second-place Kristian Hynek, a two-time Olympic medalist, by more than three minutes. Conclusion? Both hardtails and full-suspension bikes are very capable machines. But hardtails only see an advantage on very smooth courses. On anything choppy or rugged, full-suspension comes out on top. Again, “better” is a vague term here. What we’re seeking in this category is which setup helps riders learn to navigate obstacles with the least amount of rider input. According to Overend, the most competent riders seek efficiencies in all realms —from technique to equipment, climbing to descending, and everything in between. 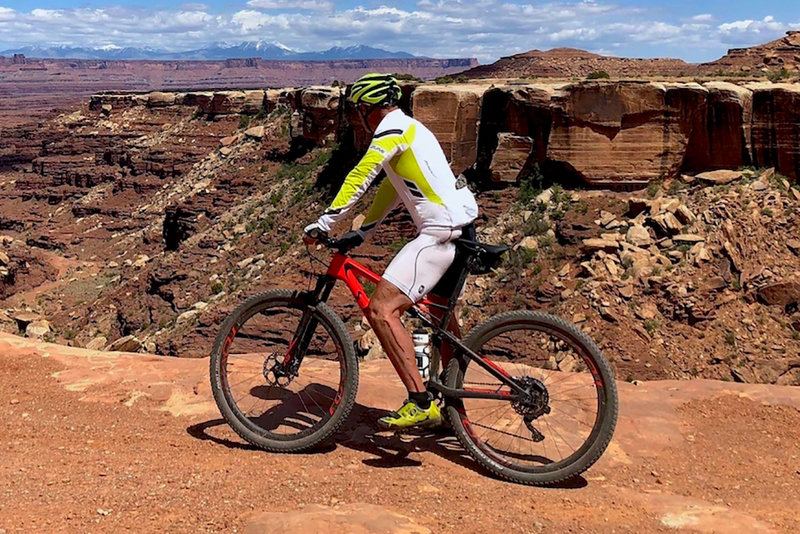 In short, a skilled rider flows over terrain by constantly making micro-adjustments that keep their center of mass over the bike rather than making larger, more tasking motions. He emphasizes that while a fall or two is inevitable, being on the ground a lot means you’re riding beyond your ability and need more fundamental skills. Lindsey Richter, director of inspiration at LadiesAllRide, has raced XC, downhill, super-D, and enduro. That diverse competitive background translates to a well-rounded range of abilities she can leverage on any trail. Now she travels the country teaching clinics for both men and women. Her insights on the matter are gold. “I think hardtails force you to pay closer attention to line choice and finesse instead of mashing through stuff,” she told me. “I think they help you be more intentional and careful with your movements because they bounce around so much more and are less forgiving of mistakes. I’m not sure that makes you a better rider more so than a more aware rider. In other words, practice develops skills more than your bike choice does. 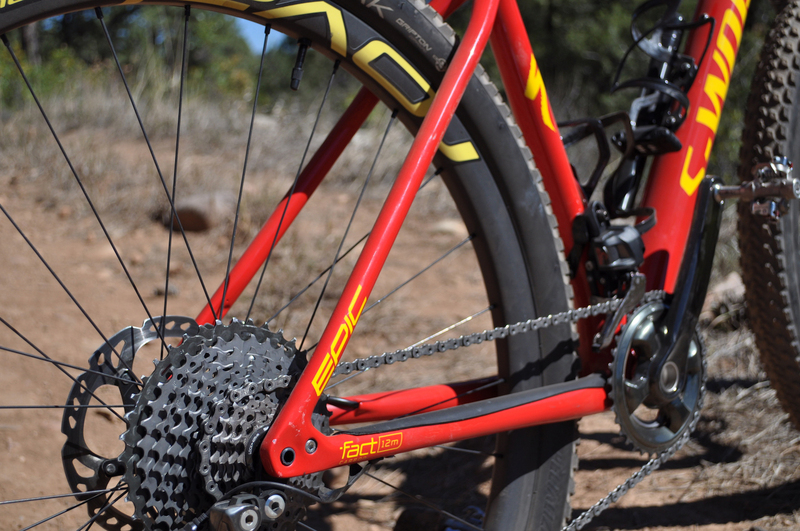 But a hardtail, a bit more than a full-suspension, forces riders to focus on learning. Case closed? Not so fast. Simson said hardtails help him choose better, faster lines during climbs and descents, requiring him to find the smoothest path possible. But he also noted that the vigorous sensations and feedback transmitted by a hardtail can promote poor movement on the bike and hinder a rider’s downhill development. Would a rider who is considering their first mountain bike purchase be better served with a hardtail where skill development is the only consideration? Coaches I spoke with agreed that a hardtail will make you a more focused and intentional rider. Essentially, it will spank you when you get sloppy. For most riders, the hardtail wins in this category. 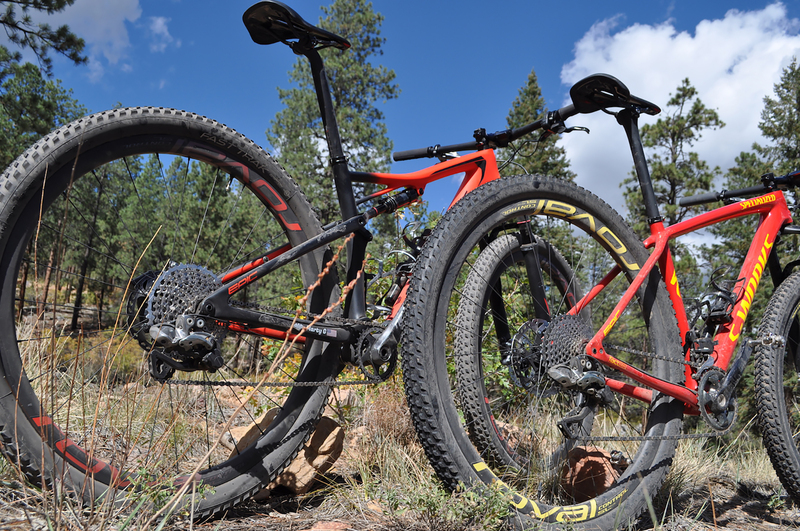 Which Is More Fun: Hardtail or Full-Suspension? During my month of testing, one thought echoed through my head. It was something Benedict, Specialized’s product manager, mentioned. I want to believe that hardtails have a place. l love the acceleration and the crispness. It mirrors what I’m used to and agrees with my physiology. However, the evidence points to full-suspension as most efficient. Fun is a highly subjective thing. If your background is as a motocross rider, you will inevitably gravitate toward full-suspension bikes. And a road rider would probably feel more at home on a hardtail. The difference is due, in part, to a rider’s level of comfort. This category is a toss-up, as your mileage — and preference — will vary. For each of the three categories — efficiency, skill development, and fun — there are elements of subjectivity. In each case, the guidelines presented can help direct decisions on which is the right tool for the job. 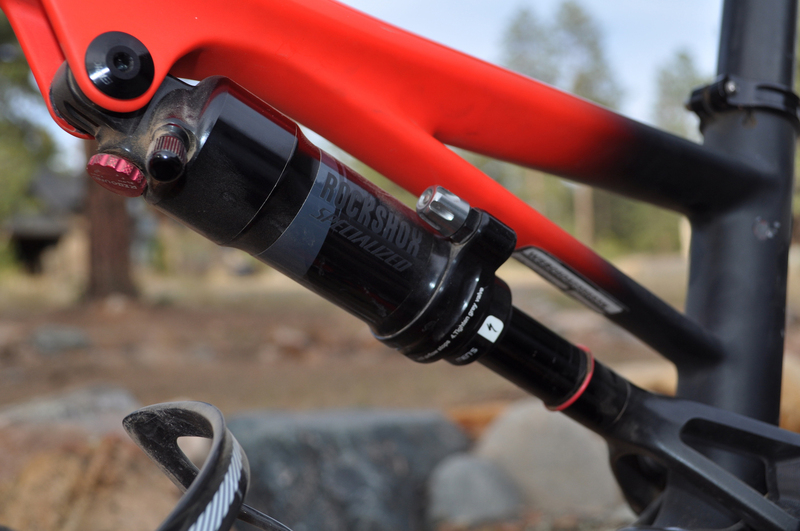 As anyone will tell you, regardless whether a hardtail or full-suspension is your perfect arrow, professional suspension tuning will allow you to realize the bike’s full potential and maximize enjoyment. And the same goes for a proper bike fit. A good fit will optimize performance and help you achieve the greatest degree of performance, comfort, and fun. I agree with both the professionals I spoke with that a hardtail is often the best choice for many first-time riders. With a hardtail, you get the most bang for the buck and a bike you will likely keep in your quiver for years to come. But for more experienced riders and those tackling more rugged, adventurous rides, a full-suspension bike will not only improve fun and comfort — it’s almost always objectively the faster option. Each rider has a different background and a different sensation they want from their riding. 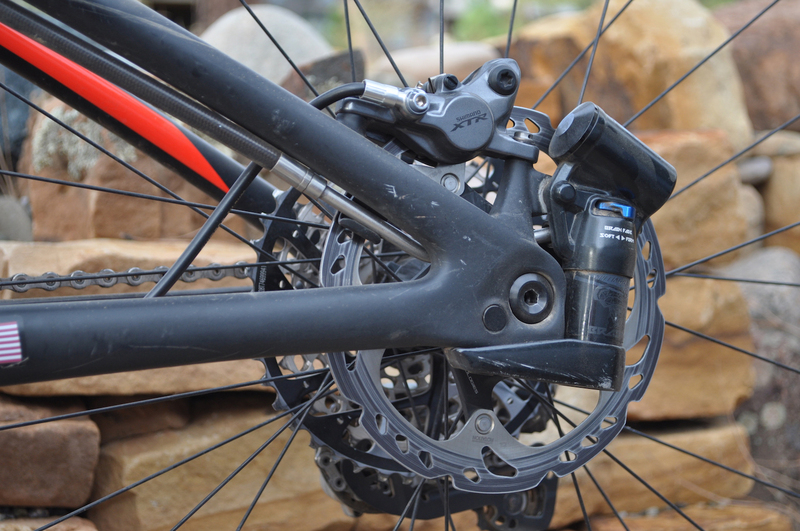 Fortunately, bike brands provide us with a variety of suspension platforms that satisfy every need.